It started with grey being the most fashionable paint colour you could wish to choose. Now more and more homes around the country are embracing monochrome. Worried dark walls will make your room too gloomy? Worry not. It’s almost impossible to make a south facing room dark, so be bold and choose your favourite shade of grey. If your room is north facing choose colours with a hint of yellow for warmth, but avoid bluer tones as these can make a space feel colder. Overall, it’s all about getting the balance right and creating impact with the contrast between dark and light, and light means colour, be it a cool white or vibrant pink. 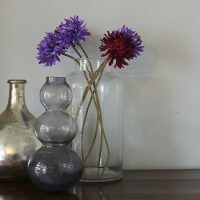 Dark greys, petrol blues or smoky greens provide a fantastic back drop for showcasing your favourite possessions. 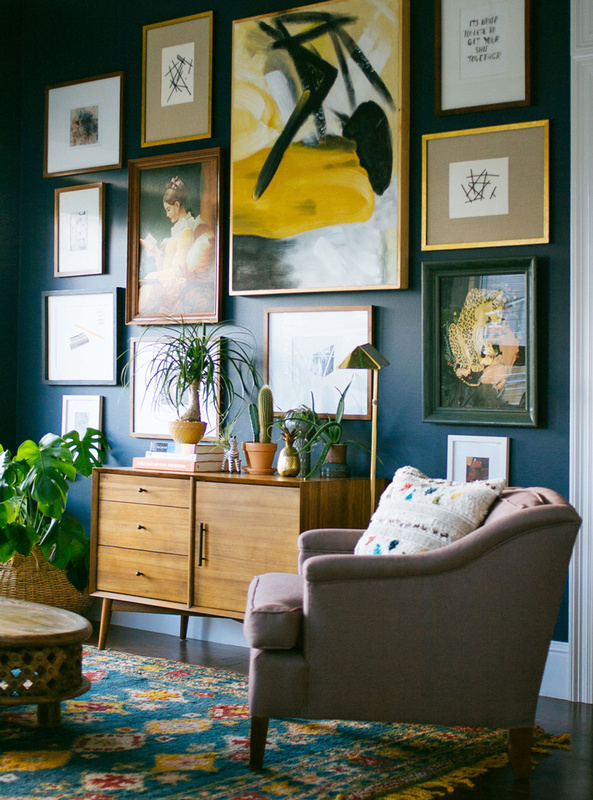 Create a gallery wall that will make your favourite art works really pop. This living area from West Elm creates drama and keeps things bright. Books will really stand out against a wall of charcoal painted bookcases. If you have the time or there’s a perfectionist in you, try colour coding them for even more impact (alphabetic sequencing is so over, I’m sure you already know). If you think life is too short for such uber organisation, leave your books muddled, like mine, the dark book case will still look fab. The design museum’s new revamped shop in stylish dark grey illustrates how this look creates great impact. Those fab products would just get lost on a pale background, but provide the great contrast I am talking about. Farrow and Ball’s Downpipe or similar can do the same in your home. Try it. Share the post "Embrace Monochrome"
monochrome is now in trend.Me too prefer dark color instead of light shades…. 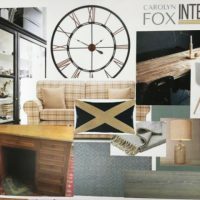 Subscribe to my mailing list for project updates, ideas for upcycling, design trends and best buys.